Mike and Jon met in early 1993 over beer at The Infinity, a live music bar in suburban Massachusetts. Sharing “inhibitions and aspirations,” the two talked about ambitions to form their own band. While Jon and Mike already knew each other somewhat, Aaron and Mike met at a friend’s annual Christmas party in 1993 in their hometown of Springfield, Massachusetts. “Hovering over a keg” when they met, Mike was doubtful that Aaron was really a singer, seeing that he had met so many others at parties who claimed to be singers. Mike’s initial reaction was, “You know how many people at parties have told me they’re singers?” At the time, however, Aaron had been doing acoustic gigs and was hoping to put a band together. 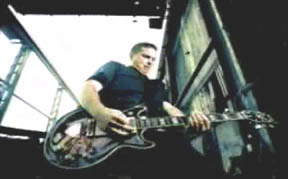 Mike was also familiar with the local rock scene, but had grown tired of playing in bands that sounded like “two guys who solo a lot.” His approach to the guitar had recently changed after recently graduating from the University of Massachusetts with a degree in electrical engineering. “It went from being more frivolous, or overplaying quite a bit, to realizing, 'Let's just try and make good songs.'" They exchanged phone numbers, although Aaron didn’t have one. The conversation ended unexpectedly when, Mike recalls, “the drunken host smashed his head through a wall and kicked everyone out of the house.” Aaron called Mike three days later, but that would be the last they would hear from each other for ten months. Aaron went to Atlanta to attend a goldsmith school as back up plan to work at a jewelry business run by his mother’s family if music didn’t work out. While in Atlanta, his two friends Tim and Mitch turned him away from U2, Led Zeppelin, and James Taylor, in favor of Pantera and Sepultura, heavy metal he had previously ignored. When they met again in Springfield and jammed, by chance through a friend’s friend, Mike was blown away by Aaron’s vocal talent. Mike exclaimed to him, “Where have you been for fifteen years? I’ve been looking for you.” Jon later got a call from Mike who told him that he had finally found a singer. 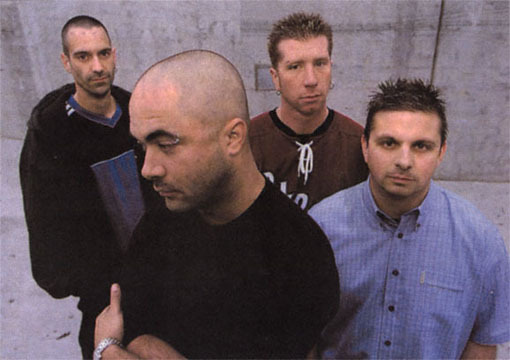 A quartet, now titled Staind, was formed in 1994 with a bassist Aaron knew who left the band before Johnny joined, and they got their first gig in February of 1995. 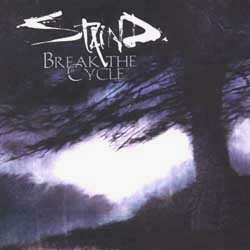 Staind, with its present members Aaron, Mike, Jon, and Johnny was formed on November 24, 1995. 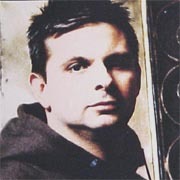 While performing, Mike also held a job as a temperature control engineer, which financially helped the band. By 1996, after a year and a half of steady gigs in Massachusetts, the band scraped together $2,500, enough to record their first album, Tormented. 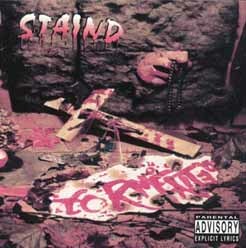 Staind put out Tormented on November 29, 1996 with a party that attracted over 900 people. Selling 200 CD’s that night, they continued their success over the next year, selling 4,000 of the now collector’s item debut album. 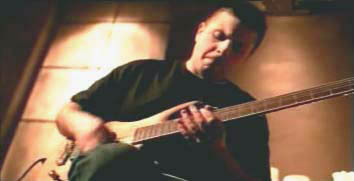 (Their first album was recently re-released, now available only through www.stainddirect.com.) 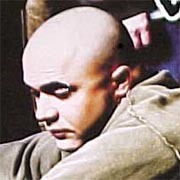 Not only did Staind build a good fan base in New England, they also received praise from local papers, such as the Lollipop which stated, “Unlike many a band, especially heavy bands that rely more on strength than dexterity, Staind has songs. Songs you get to know. Songs you move with, go the distance with. 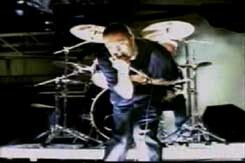 This is a band to watch.” The Northeast Performer also gave stunning reviews: “Staind’s musicianship is striking, and their live performances takes their recorded material one step further: pushing the envelope, ripping up the envelope, and then jumping up and down all over the envelope ‘til there ain’t a damn thing left." The Tormented CD cover features a crucified Barbie doll and a bloody Bible. “Liked” is definitely an understatement, as Fred told them after the show that they were the best band he had seen in two years. 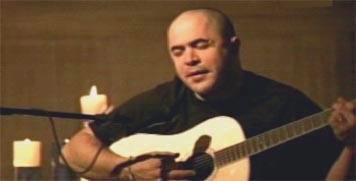 He unequivocally told Staind he wanted to help them get a major record deal, and at the time Fred was working on forming his own production company. “He really really liked the band, thought it was the best band he’d seen in a long time, and wanted to work with us,” describes Mike. “I had already had some letdowns in the music business, so I was like, ‘That’s cool,’ and we exchanged numbers and talked. When we got in the van that night, I was like, ‘You know, this is great, we’ll pursue it, but who knows.’” Despite many disappointments in the past and going for weeks without any communication from Fred, persistence paid off in the end. Mike goes on, “I mean, here’s this guy, he’s busy, he’s touring, his band is just about to break. Hopefully it could happen, but we were just going to continue doing what we were doing and not count on anything. 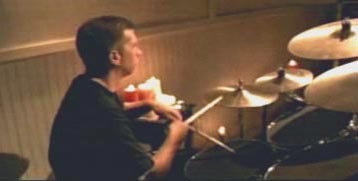 We were recording a four-song demo at the time, and I remember trying to call Fred for just about a month – couldn’t get a hold of him, never heard from him.” Almost exactly one month after the heated meeting with Fred, Staind tried its luck again. 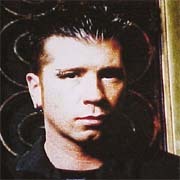 On the Wednesday before Thanksgiving of 1997, Limp Bizkit, which was opening for the Deftones and on its second month of tour for Three Dollar Bill, Y’All outside Boston at St. John’s Gym, Mike says, “I thought it would be the best opportunity to give Fred a copy of our new tunes, so the band and I drove up to see the show. We went to Limp Bizkit’s bus and knocked on the door, where we met up with DJ Lethal. Fred was busy elsewhere. We gave Lee a couple of tapes with the new tunes, and went to see the show. We tried to find Fred, but were not unsuccessful,” at least only for a few hours. At 2 a.m. the next morning, Fred called. 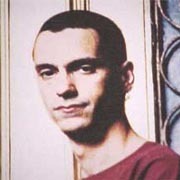 With “Spleen” blaring in the background, Fred said he loved the news songs and wanted the band to go to Jacksonville, his hometown, to work with them on their material. After more phone conversations, the band left New England for Jacksonville the day after Christmas. They would also perform four sold-out shows with Limp Bizkit in Jacksonville following their arrival. 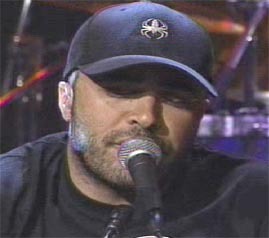 Staind, performing "It's Been Awhile" on The Tonight Show, with Aaron wearing a COLD hat in support of the upcoming band. After a week of work with Fred, the band returned to Springfield and wrote “Just Go,” “Home,” and “Me.” This time around, however, the band took on a different perspective of their music. Fred had showed them that Aaron had an amazing voice and real vocal talent, says Mike. “In my mind that was the wisdom that we took away after working with Fred in Jacksonville. I think it was at that point that we started to become more dynamic too. 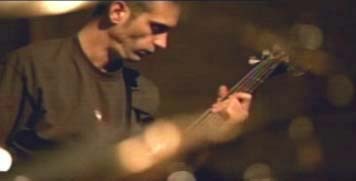 That was another thing that we walked away with after working with Fred that first time.” Staind went on to record a few more songs that would soon appear on their second album, Dysfunction. 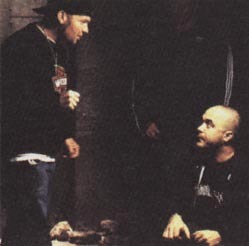 “A Flat,” “Suffocate,” and “Excess Baggage” was recorded at Sound City Studios with Fred Durst and DJ Lethal producing. 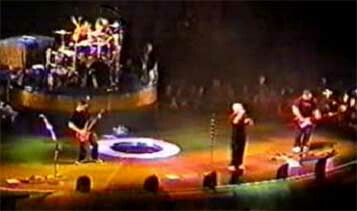 By June 1998, the band began close work with The Firm, its management company. They got Terry Date, producer of The Deftones, Pantera, Soundgarden, and White Zombie, to also produce Dysfunction. 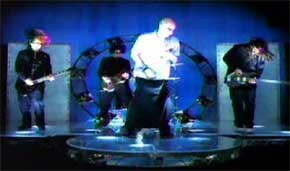 In October, the album was mixed in Seattle at Studio X, and the CD was finally released on April 13, 1999. 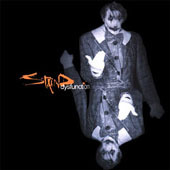 After doing two tours with Limp Bizkit, two more tours with Kid Rock, and one with Korn, in addition to the Family Values Tour, Staind built a name for itself and was not going to stop. Although opening for big name bands was tough, Mike admits, “That's kind of the whole part of being able to go out and open. That was really our job, to go out with these other bands and try to win over their fans. Since their [referring to Limp Bizkit] first album came out, it was just such an honor to be on tour with them. It was just so cool,” says Mike. Aaron continues the description, explaining, “Well, for the whole time we were on tour, we probably had 10 sound checks for that whole 16 months.” They were treated well on the tour, but with such large performances, says Mike, “Sometimes nobody gets a sound check,” or sometimes, as Aaron put it, it was “kind of a pecking order.” Nonetheless, says Mike, “We were just basically glad to be there. We were fortunate enough to have a good soundman who knows the band and can dial things in pretty quickly.” Dysfunction went on to become platinum, with current sales at over one million CDs. 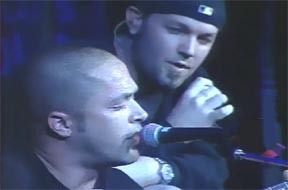 Aaron on the acoustic guitar wings the unfinished "Outside" with Fred Durst doing backup. “In my mind, says Mike, “I felt I didn’t want to go away as a band. Because you see some bands go away for a long time – ‘Boy, we had some successes, let’s take six months off’ – and things change. I just think that can kill you.” And with that belief the band went on tour again. 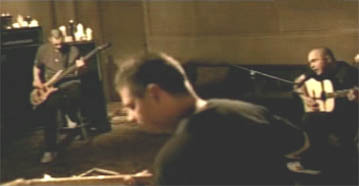 During production of the now multi-platinum album, Staind went on tour with Godsmack, and shortly after its release went on their first headlining tour. 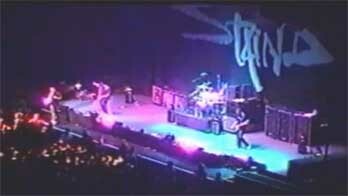 Open Your Eyes Tour also brought Staind to Europe. 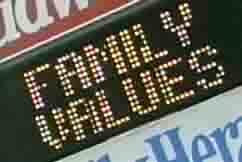 The band just finished up their second round of the Family Values Tour, where they headlined with Stone Temple Pilots, as Linkin Park, Static X, and Deadsy were the opening acts.